Last week, we looked at the anatomy of the forearm and the wrist. This week, let’s take a look at how these structures serve to position the hand, and then learn a few simple exercises you can do at home with just a few simple props. Now, let’s take a look at some exercises to help you to stretch and strengthen your forearm and wrists. All of them can be completed at home with very simple props. Also, these are compound exercises that target many structures all at once, perfect for our busy lifestyles. For all of the exercises below, do 3 sets of 8-12 repetitions. If you do not experience some muscle fatigue by 12 repetitions, add a 3-5 second hold to the most intense part of the the muscle contraction. Stand or sit with tall posture and your elbows bent at your sides. Grip the towel firmly with both hands and slowly twist the towel as if you are wringing water out of it. When the dumbbells variation gets too easy, you can use a hammer instead of dumbbells. The long handle on the hammer will work the muscles more and help build control through the movement. Very gently, draw your torso back so that wrists go into extension and you feel a stretch across the forearms. 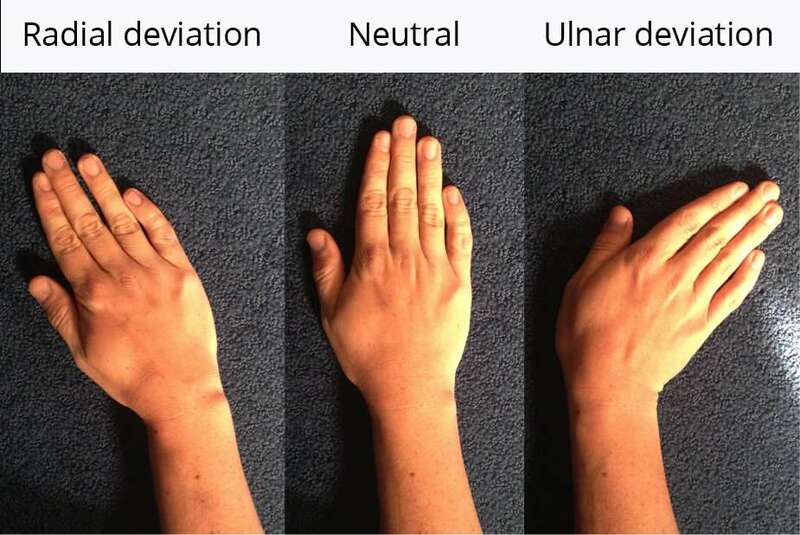 Stay tuned for a future installment in which we will explore the structure and function of the hand, and learn some simple exercises that will keep that complex body structure working optimally.